The AJA support and engineering team target only Enterprise Class Workstations. 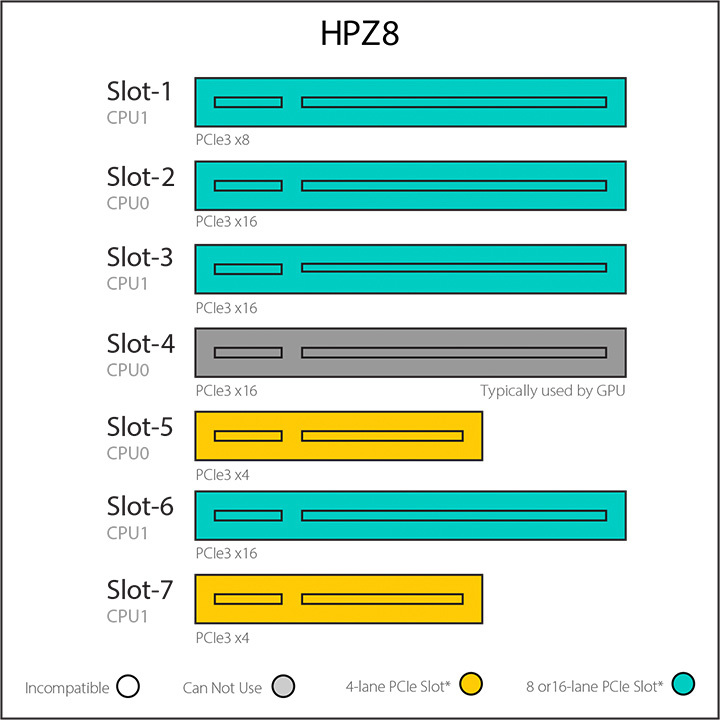 The slot placement is based on an engineering analysis of the motherboard for performance and available bandwidth. 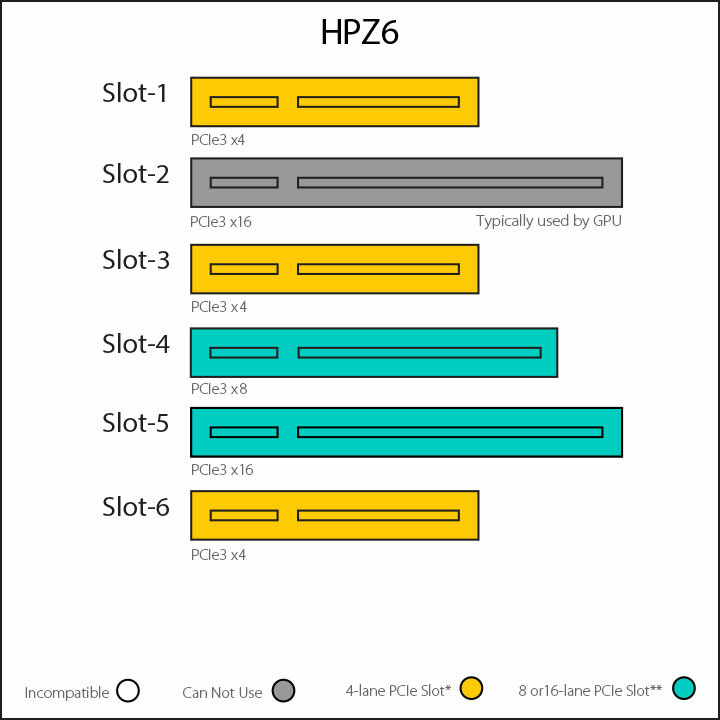 These are the required 4K/UltraHD/2K/HD workflow configurations for the KONA product line. For demanding workflows, like 4K, we advise the AJA Video I/O card and the storage adapter be on separate PCIe buses. 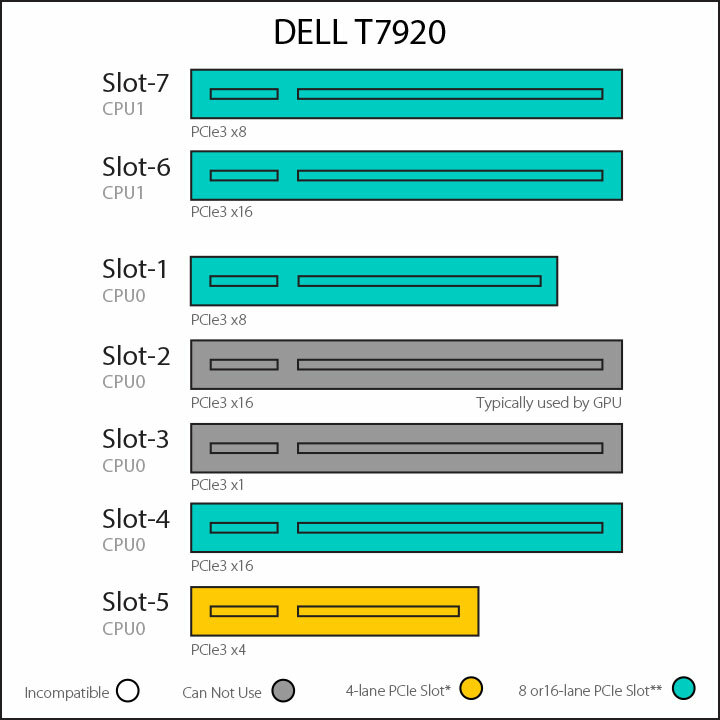 AJA recommended BIOS 1.42 or later for the full support of all PCIe slots. 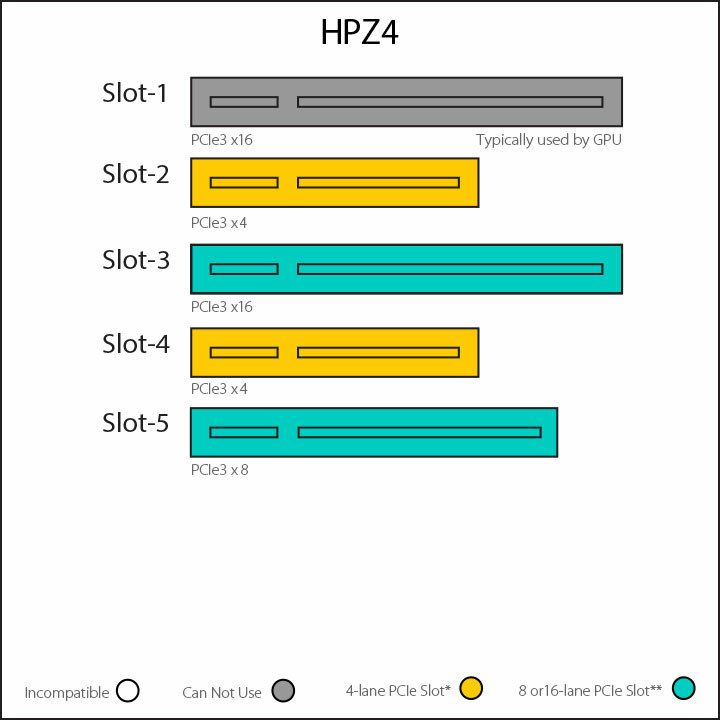 For maximum utilization of available PCIe slots when using a dual height GPU we recommend slot 4 for the GPU. AJA recommended BIOS 1.4.1 or later for the full support of all PCIe slots. 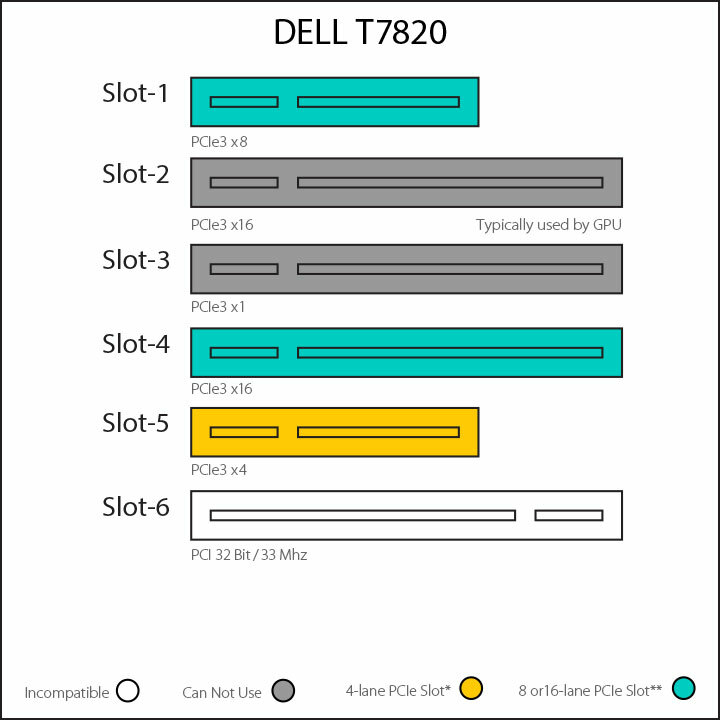 AJA recommended BIOS 1.4.0 or later for the full support of all PCIe slots.